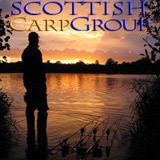 Scottish Carper - View topic - Danskine Loch open again. Just a reminder that Danskine loch is now open again after being closed for the shooting season. Re: Danskine Loch open again. Pretty wet, muddy & slippery atm so if anybody ventures up, be careful!